All cheques should be made payable to 'RCT Performance Swim Squad' with your child's and gala name on the back. Cheques should be stapled to the top left of the entry form for safe keeping. 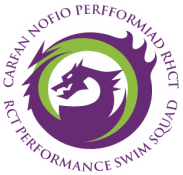 All entries are to go through RCT Performance Swim Squad's only and not to the Gala Meet Organisers unless specified ! Only club representatives will accept entries unless club members are informed otherwise.